A few weeks back, we were spoiled rotten with a serious Star Wars: The Force Awakens info dump, which shed some light on the new characters who will be calling the galaxy far, far away their home in JJ Abrams’ highly anticipated sequel. But missing from said info dump was Andy Serkis, whose character has being shrouded in mystery, even though he provided some menacing narration in the first trailer. Well, Lucasfilm have rectified that, revealing that he will be bringing Supreme Leader Snoke to life, via motion capture naturally. 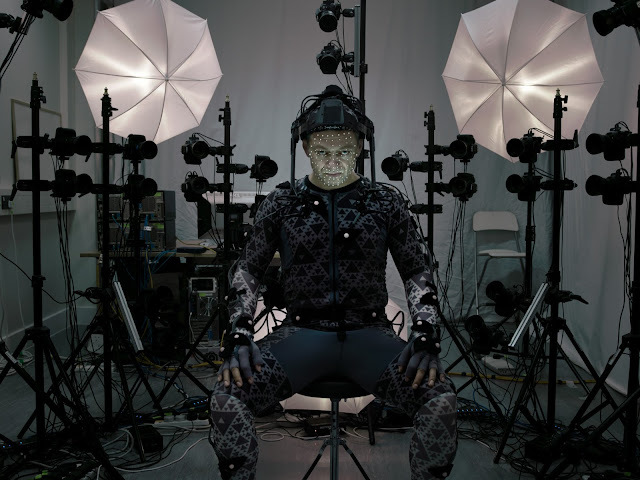 Along with the reveal was a new photo from Annie Leibovitz’s fantastic Vanity Fair photo shoot, with Serkis decked out in his mo-cap gear. No word on what the character will actually look like, but it’s a JJ Abrams movie, of course there isn’t. Beyond the name, there’s nothing else known about the character. Is he a member of the rebellion, or is he siding with the evil First Order? Judging by the menacing tone of his voice in the first trailer, along with the fact that anyone calling themselves Supreme anything should have alarm bells ringing, it’s a safe bet he’ll be a bad guy. Star Wars: The Force Awakens comes our way December 18th.